Ifakara Town Council is one of the nine Local Government authorities in MorogoroRegion.It was established with effect from 25th September, 2015 through GN number 220. On 4th December, 2015 It got its certificate of establishment and became fully operational effective from January 2016. Historically Ifakara Town Council is formed from earlier name of the headquarter of Kilombero District Council known as Ifakara/Kilombero before it came an independent Local Authority.Ifakara has been a potential entry point linking interior areas south of Morogoro and much of the Southern west and east to other areas as Ulanga District in the south East and Mufindi and Njombe to the southwest. 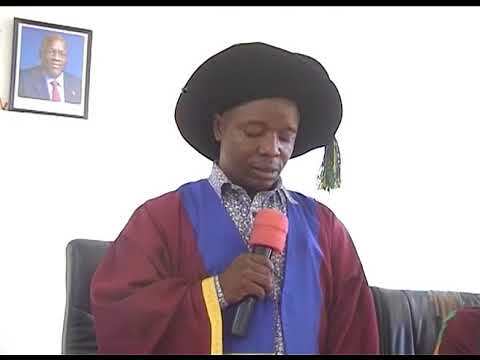 Ifakara Town Council bordersKilombero District Council to the North, south and south west, Ulanga District to the south east (along Kilombero River) and Kilolo District in North West. The area of Ifakara town Council lies along the Kilombero Valley and part of it in the Rufiji Basin and Selous Game Reserve which extends to the Udzungwa Mountains National Park, covered by Miombo woodlands which is about 1,700 meters above sea level. The nature of catchment necessitates most water from Udzungwa Mountain to pass in Ifakara through Lumemo River. The Council lies within one main agro-ecological zone called “Central zone” that suit the cultivation of such crops as Paddy, maize, cassava and vegetable. The soil types are loamy, clay, sandy, and sandy – loamy. Ifakara Town Council has an area of 3,893 km sq with its topography mainly being flat. It is situated in a vast floodplain, between Kilombero River in the South-East and the Udzungwa Mountains in the North-West. Administratively Ifakara Town Council has one division which is subdivided into nine (9) wards, 11 villages, 33 streets and 64 Sub villages. The Town Council is divided into urban and rural area; out of nine wards, five are urban and four are in rural areas. IFC is under Kilombero constituency that also covers part of Kilombero district Council. According to population and housing Census 2012, the population of Ifakara Town had 106,424 people (52,148 Males and 54,276 females). With the population growth rate of 2.8% per year, the current population is estimated to be 122,600 (by Dec 2015). The growth rate is higher compared to regional and national figures of 2.4 % and 2.4% respectively. The indigenous people of Kilombero District are mainly of Bantu origin. There are three major ethnic groups those areNdamba, Mbunga and Ngindo. Other minor ethnic groups include Pogoro, Hehe, and Bena. However, in recent years, there are immigrants like Masai, Sukuma and Barbaigs who are engaged in livestock keeping and business activities.